Fits and Starts was presented at Central Art Garage, April 7 - May 31, 2017. 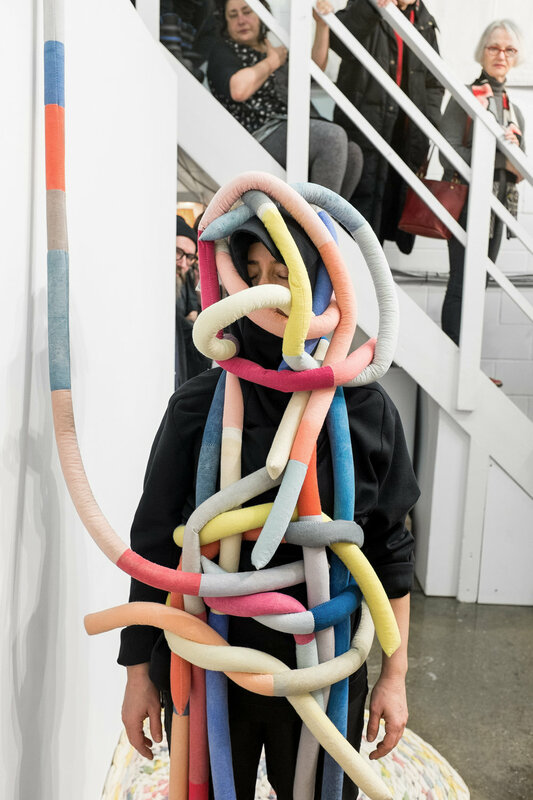 Laura Taler’s performance, Effort 01, took place on April 7, 2017. Joining mindful moments between her objects and the spaces they inhabit, Fits and Starts revels in repetition and care as Bell's means toward outward resolve and subsequent affection. *Jan Verwoert, "A Prayer to Protest" in Tell Me What You Want, What You Really, Really Want , ed. Vanessa Ohlraun (Berlin: Piet Zwart Institute and Sternberg Press, 2010), 252. The works in Fits and Starts were made with Project Assistance from the British Columbia Arts Council.